A hectic schedule of double rounds, i.e. Rounds 2 & 3 for the Asian Junior Championships was preceded by a grand official opening ceremony at Ulaanbaatar, Mongolia. 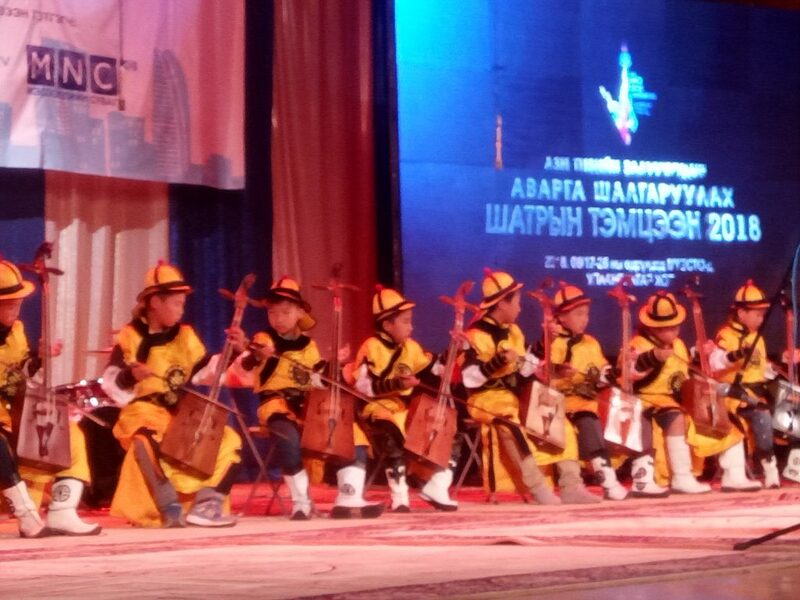 The official inauguration was marked by a splendid show of Mongolian songs and music. The packed auditorium was addressed by Deputy Chief Speaker of Mongolian parliament Mr Luvsantseren Enkh-Amgalan in the inaugural address. Lauding the Mongolian Chess federation’s efforts, Mr Luvsantseren Enkh-Amgalan expressed desire for Chess to take giant strides in Mongolia. The second round pairings in Asian Junior Girls were dominated by Indian presence with Indian girls occupying 6 tables out of top 7. Continuing in the same form of Bronze medal finish in Rapid, Aakanksha scored a smooth victory over Omurbekova Diana of Kirgizistan. On the third board, playing white side of Catalan, Priyamvada Karamcheti chose a wrong continuation to land in inferior endgame and lost to Mongolian WFM Altantuya Boldbaatar. Fifth seed WCM Isha Sharma was held to a draw by WCM Mandukhai Myagmarsuren of Mongolia. 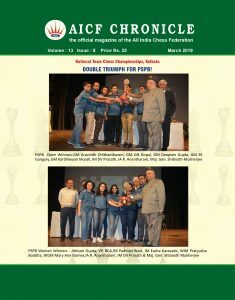 In yet another two battles between Indian and Mongolian girls, Indian girls emerged on top with WIM Sakshi Chitlange outplaying WCM Munkhzul Davaakhuu and WFM C H Meghna defeating Oyudari Batkhuu respectively. WFM Rutumbara Bidar outplayed Lu Miayoi of China. The lone Indian entry in the Open section, IM Krishna Teja scored smooth victory over Chinguun Otgonbayar of Mongolia. 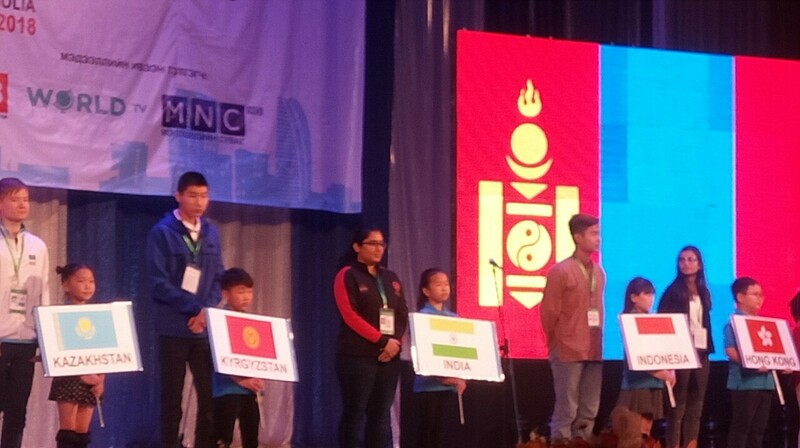 In the third round, Sakshi Chitlange (3 points) from Aurangabad scored an impressive crushing victory over Nomindalai Tumurbaatar of Mongolia. Playing white side of Chigorin, Sakshi played actively and didn’t allow Black to castle to win a piece and the game easily. The top board game between two Indian players opened with Ruy Lopez with Aakansha Hagawane (3 points) playing white against Rutumbara Bidhar (2 points) of Orissa. Rutumbara misplayed the position and allowed Aakanksha a lot of play. Aakanksha made no mistake to pocket full point after 48 moves. Isha Sharma (2 points) from Mangalore was unlucky to draw an advantageous game against Ulziikhishigjargal Ochirkhuyag of Mangolia. Priyamvada Karamcheti (1.5 points) could not convert the slight advantage to full point and had to settle for a draw against Bayasgalan Khishigbaatar of Mongolia. 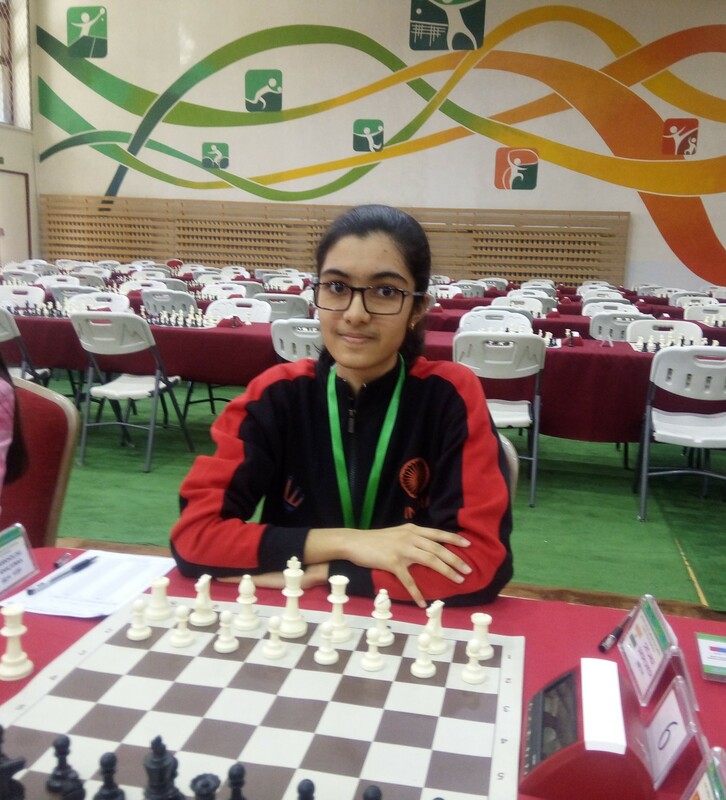 C H Meghna (2 points) went down against 4th seed Altantuya Boldbaatar of Mangolia after a good fight. IM Krishna Teja (1.5 points) was shocked by lower rated Itgelt Khuyagtsogt of Mongolia.